Footballers are known to return to their clubs in an unpredictable state. That’s natural: many have travelled great distances with their national teams, they’ve also been ripped out of their normal routine for two weeks, being coached by different managers and playing alongside different players. There’s always a readjustment period when they come back – players need to regain that trust and automatic understanding they had at club level before they broke up to go their separate ways. That’s why it’s difficult to call the first game back after the international break, and why it sometimes throws up some strange performances: players just haven’t managed to get their heads back into the club game. It makes this weekend’s fixtures so interesting. Usually, when Liverpool travel to Crystal Palace, we get an interesting game. In many ways, the South Londoners are the Reds’ bogey team: Jurgen Klopp’s first defeat in charge of his team came at the hands of Palace, whilst the 3-3 in 2014 (when Liverpool threw away a three-goal lead) is remembered – perhaps falsely – as the moment Brendan Rodgers’ team lost the title to Manchester City. In reality, a win wouldn’t have changed too much. Had they won, they’d have been level on points with City, but the Etihad Stadium outfit would have had a better goal difference. The reason Liverpool threw away such a commanding lead wasn’t so much because they bottled a game they needed to win, but because they tried too hard to score too many goals, leaving them loose at the back. But that changed something in the minds of football fans, and Liverpool may now have something of a mental block about Palace. Indeed, since then, the Reds have lost four of their last seven Premier League games against the Eagles. Odd are currently 11/2 for Crystal Palace to win in the early kick-off. All of that taken together might well be a good enough reason to think that Crystal Palace might be due a win over Liverpool again. 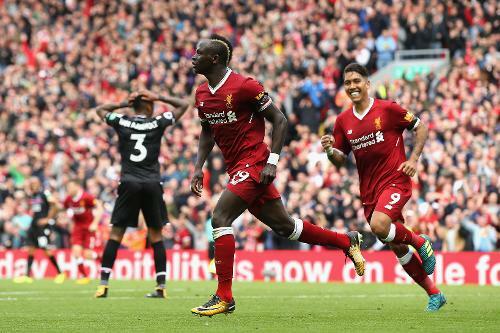 Palace lost the reverse fixture back in August, when a late Sadio Mane strike sealed the points at Anfield, but that was during a run of dismal games the Eagles were enduring under Frank de Boer. The Dutch manager was in charge for just 77 days, and his team failed to score in all four of their Premier League games during his tenure. Since then, though, Palace are a different beast, and will be raring to go after the international break in a way that Liverpool may not be. Now that Roy Hodgson is in charge of the Selhurst Park club, Crystal Palace are very much in a relegation battle. From where they were before the former England boss took over, though, that is certainly a step forward. They were in dire straits at the time, and it looked like relegation was going to be inevitable, especially since Hodgson’s difficult first few fixtures meant that he wasn’t able to record a victory until over a month into his spell in charge – an impressive win over Chelsea. Back then, to even be in a survival battle by the end of March would have been a success, but for the moment they are out of the bottom three and looking to pull away from the mess below them. If they are to stay up, you get the feeling it’ll be their away form that does it for them. With seven games left, they have a favourable run of fixtures after Liverpool come to visit, and of the games they have remaining, over half are at home. This season, since Hodgson took over, the Selhurst Park crowd has been a factor in upping their side’s performances. Although Chelsea are the only member of the top six the Eagles have beaten at home this season, they did end Manchester City’s record-breaking run of consecutive league wins back in December, and both Arsenal and Manchester United scraped home with 3-2 wins, both were tested to their limits by Palace. Even Spurs came away with a tight 1-0 victory. Liverpool are the last top six side to visit Selhurst Park this season, and if they still feel as though Palace are their bogey team they might well be coming up against a side who can trouble them majorly. After the international break, when players are yet to get back into the swing of club football, a trip to Selhurst Park against a team fighting for their Premier League survival could well throw up a less than ideal result for third-placed Liverpool.